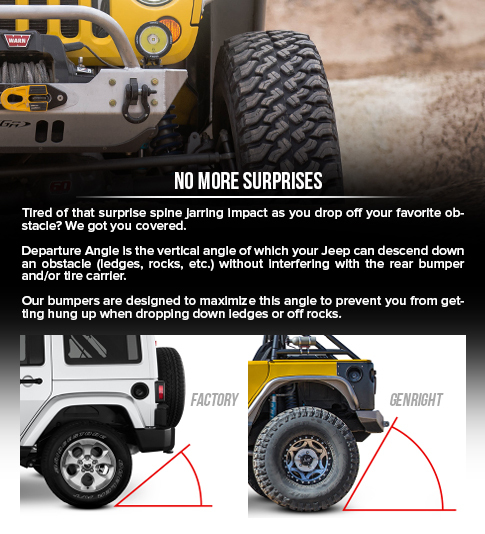 GenRight Off Road's bumpers are 100% Made in the USA. All our bumpers are designed to improve approach/departure angle and maximize clearance and functionality. 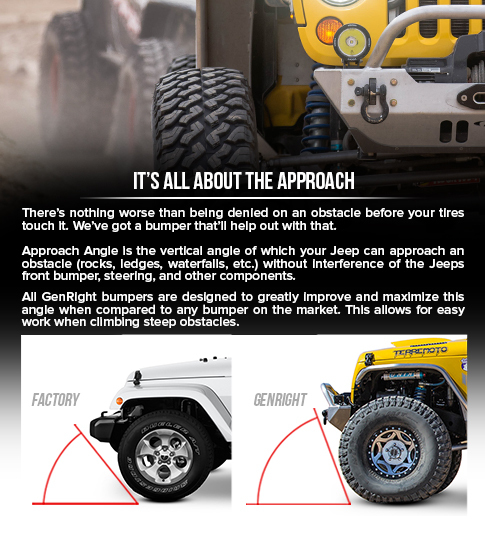 Available in a variety of configurations for both front and rear on Jeep JK, TJ, LJ, YJ, and CJ. Choose from heavy duty steel, or light weight aluminum.